made with the flaps and slats deployed? Seems to be lots of great Build Threads of the Airfix Kit but as yet I haven't found any with the flaps and slats deployed. 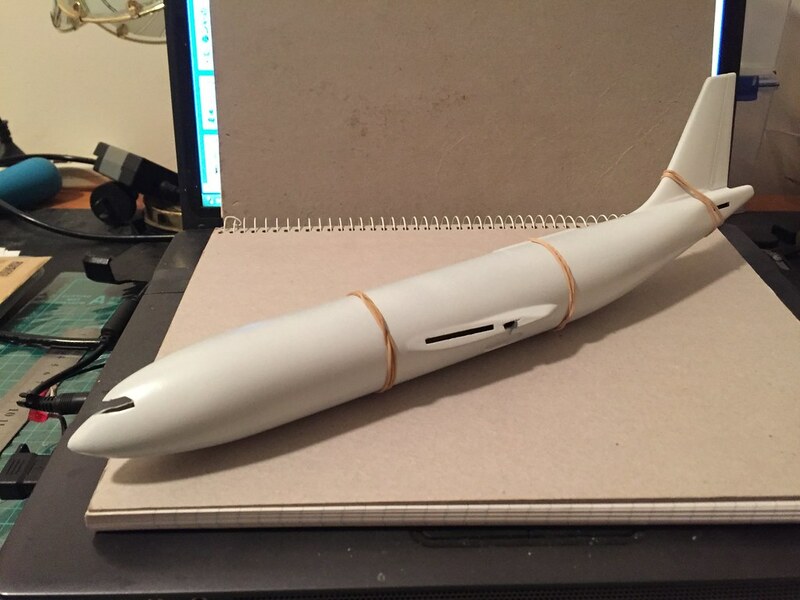 Thinking about doing this on my A300B1 Build (which is going to be slightly different anyway as it and at least 002 didn't have the Krueger Flaps) but would like to see an example first so the least I can do is some shameless copying. Not a build thread, not a lot of research done for accuracy, but built as requested. Very nice. Thanks for Photos. Certainly looks the part! 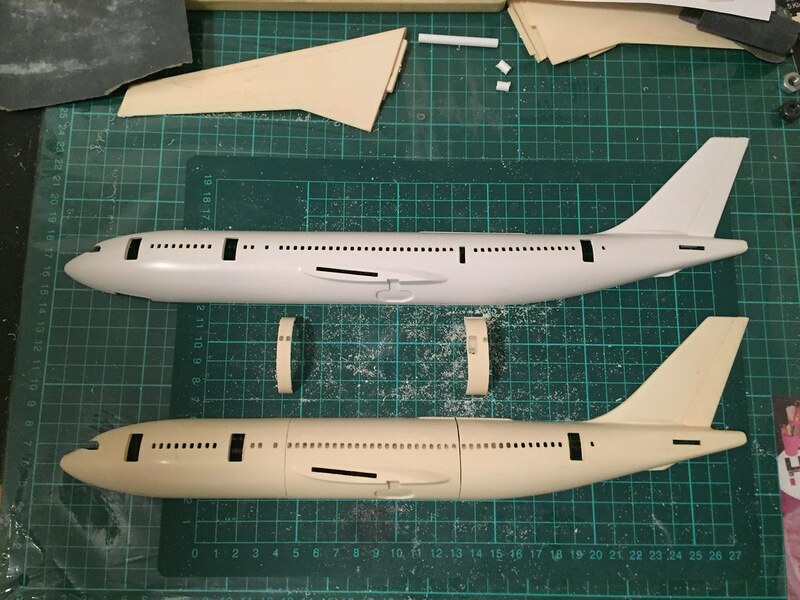 Because of how and where Airfix have split the A300 wing it is not an easy job. Apart from the necessary scratchbuilding will need to brush up on Dremel skills and also probably learn how to make photo etched Air Brakes/Spoilers to have any chance of success with this one. 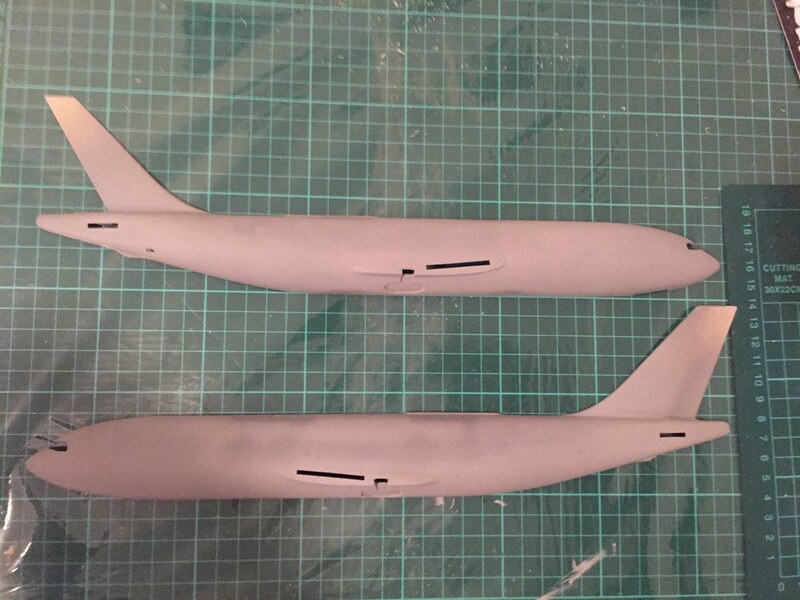 Unless of course with regards to the latter if anyone knows of a photo etch set for the A300 that is already available that includes the Air Brakes/Spoilers? I am 99.9% certain there are no photo etched spoiler sets for A300's. There is (or was) a Czech (I think) company that made an A310 detail photo etch set. Some of those details would work on an A300B2/4 but other than that, the A300 has been a sorely under-represented subject in 1/144. 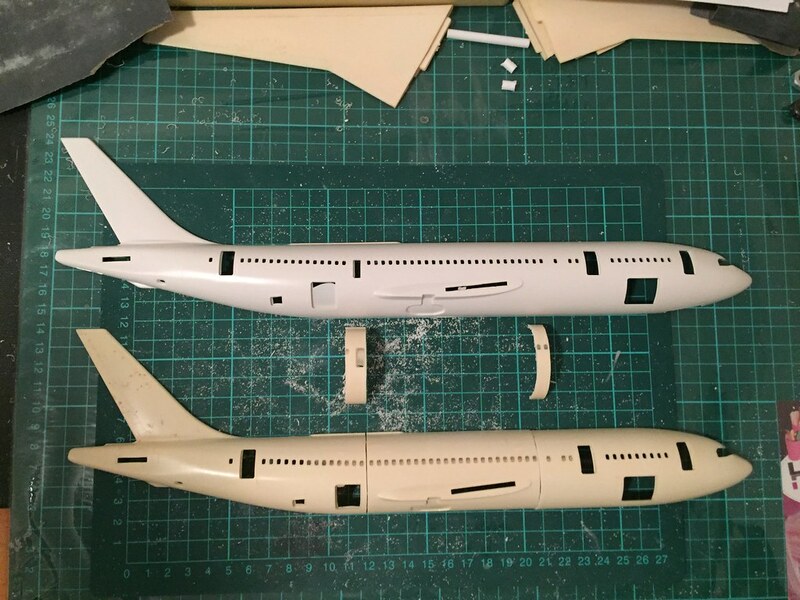 Eastern Express has announced an A300B4 kit to be released this year, and if I were you, I would wait for that kit to make your B1. The Airfix is nice but very outdated and lacking in many places. If you can find one, the Authentic Airliners A300B4 kit is excellent and has beautiful wing and engine parts. Good luck. and not placing much hope of the EE kit being any good means I'll have to stick with what I've done thus far (as well of course not wanting to spend a gazzillion dollars on an lovely AA kit only to chop it up!). 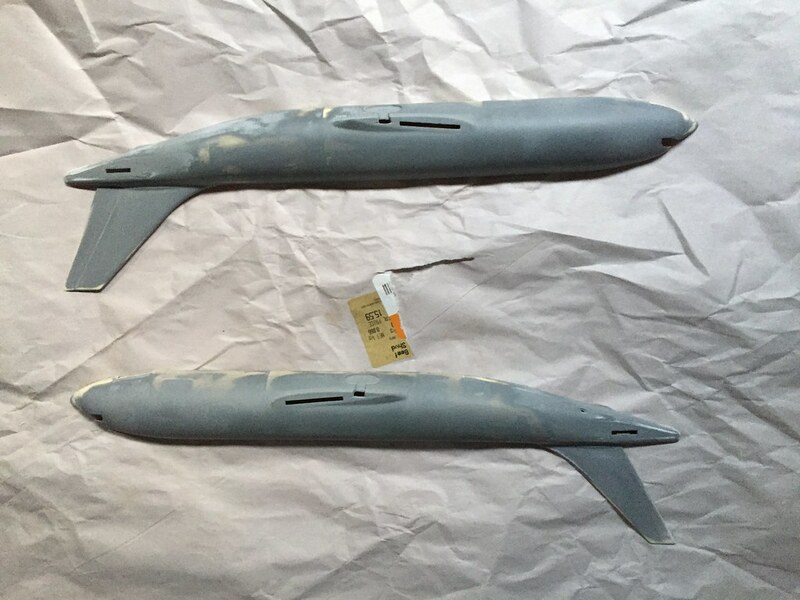 I did sort of find two etch sets for A300s - one Platz and one Metallic Details (meant for the Beluga kit) - but neither seemed to have anything for the Flaps or Air Brakes / Spoilers. Don't write-off the Eastern Express A300 yet. Their recent releases have been superb, a far cry from the stuff they once produced. OK willing to give anything a fair go but it would have to be a far enough cry from Russia to be heard from here! 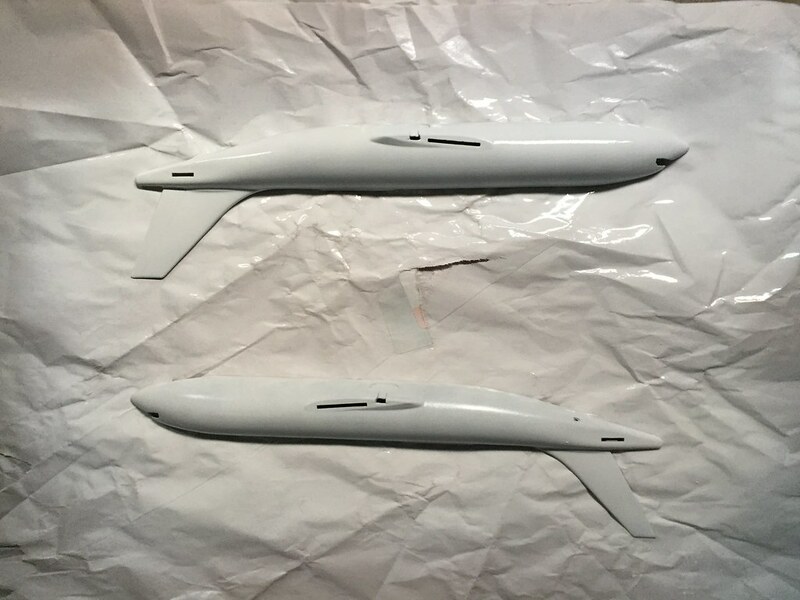 In addition to the rounds of filling and sanding I did a bit of work on the Nose by rounding the Nose Cone, taking a bit off the underside ahead of the Front Undercarriage Bay (which has to be moved forward at least 3 mm), and adding a bit to the Cockpit Roof. This cheaper brand of Acrylic Gloss White was a bit spitty and gluggy coming out of the Can and it stank so I won't be using it again! 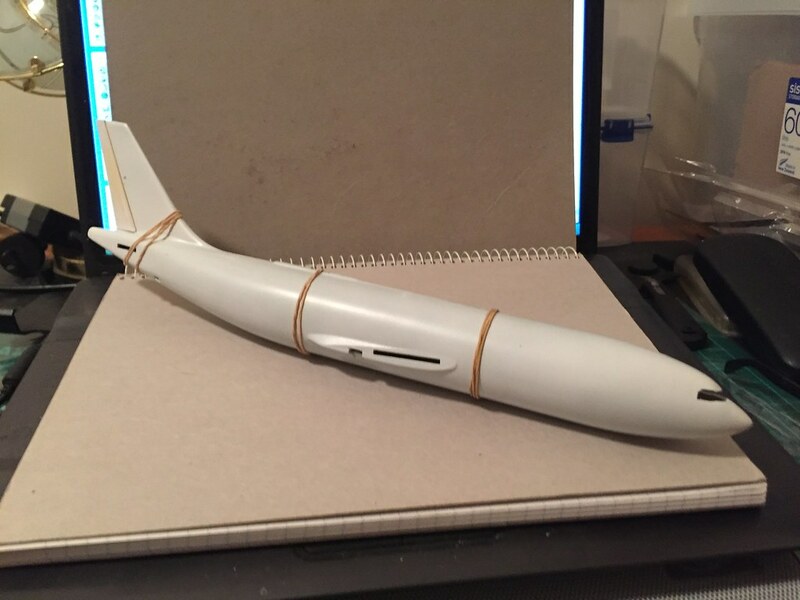 Which I can't see any obvious flaws on (and it's going to have more rounds of filling and sanding anyway when it gets glued together) so on to the next stage in the Instructions and maybe even a little bit of work on some of the other bits and pieces like Engines and Undercarriage for a change. Lookin' good, keep up the good work! I gotta post more on my build threads soon as well. If you want to find the tiniest errors on your numerous filling, sanding, priming, and repeat attempts just give them to your better half with her Glasses and a small Torch Light and lo and behold you have some more filling, sanding, priming, and repeating to do!